The role as Vice President of Professional Development is composed of many things. A big part of the job is acting as a headhunter, looking for Industry professionals online and through the database. And while it’s one of the biggest and longest parts of the job, the hard part comes after pitching and confirming them as a speaker for an event. Before each semester starts the VP(s) of PD have to plan out each event. Including event titles, presentation materials, speaker gifts, room setup, scripts, panel questions, and content creation. On the day of each event, the VP(s) are in charge of purchasing parking passes for the guest speakers and greeting and hosting the speakers upon their arrival. As part of the position, you are also responsible for moderating the bi-weekly events and panels. …but it actually kind of is required so you need to be comfortable with public speaking. The job as VP(s) of Professional Development offers you the chance to expand and enrich your network outside the college community. 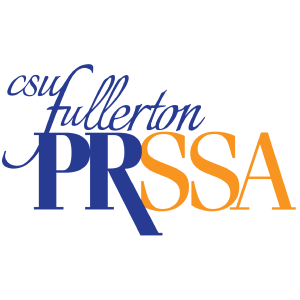 As the representative of CSUF’s largest communications organization, it’s rewarding to have the chance to bring incredible speakers and opportunities to members.